In the third year of the Euro Tour there are eight tournaments in the series. Gibraltar, The Netherlands and Austria each get one stop and Germany is visited no less than five times. The format is changed this year, all games are played on one stage and only 48 players compete in the main event. In the first round 32 qualifiers play against each other. Twenty from Britain and the rest of the world, eight from mainland Europe and four from the host country. In the second round, the best 16 players from the Players Championship Order of Merit join the tournament. The Austrian Darts Open 2014 was played from 20 to 22 June in Salzburg. The previous two years the tournament was held in Wiener Neustadt, but the tournament was moved this year. For the second time in the history of the Euro Tour an unseeded player wins the tournament. 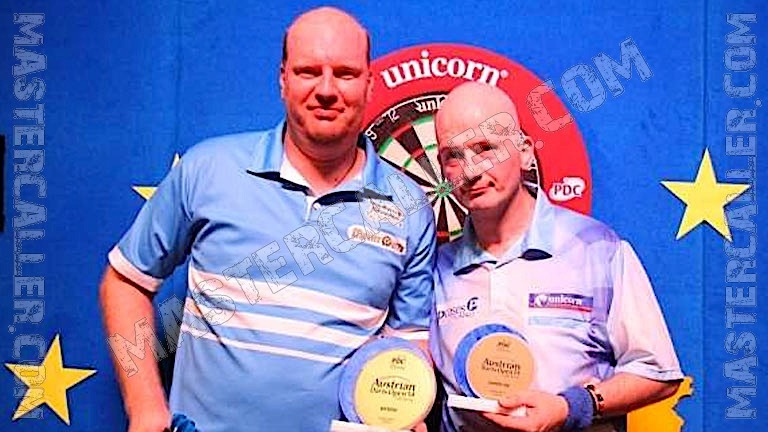 The Dutchman Vincent van der Voort takes the biggest title of his career by defeating Jamie Caven in the final. On his way to the final Van der Voort also beats Christian Kist, Justin Pipe, Brendan Dolan, John Part and Mensur Suljovic. Caven defeats Terry Jenkins, Stephen Bunting, Phil Taylor and Peter Wright.